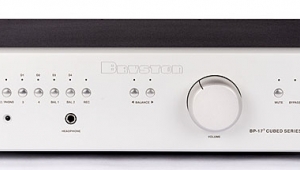 Description: Modular solid-state and/or tubed preamplifier with slots for 9 input modules slots, 3 output modules, class-A headphone output. 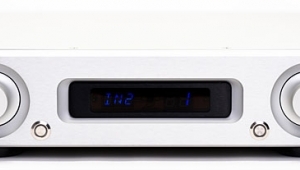 Available modules: MM/MC phono preamplifier, asynchronous DAC with inputs (1 USB Type B, 2 coaxial S/PDIF RCA, 1 optical TosLink), supporting PCM up to 32-bit/384kHz, DSD64/128 (2.8MHz, 5.6MHz); FM, Line in (with or without tone & contour configurability), Line out, Bluetooth. 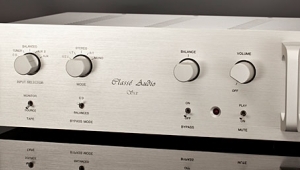 Tube complement: 2 AVM 803 T dual triodes. 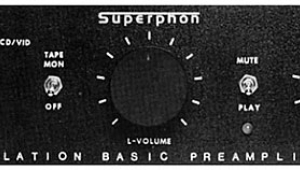 Frequency ranges: 20Hz100kHz (solid-state), 20Hz30kHz (tubed). 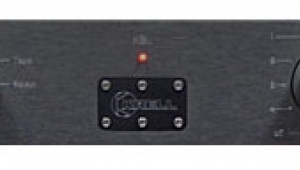 Input impedance, line: 3.4k ohms (RCA), 13.6k ohms (XLR). 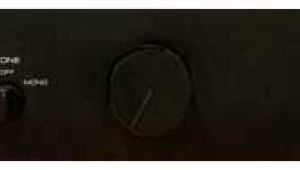 Input sensitivity, 1V output: 20450mV (adjustable). Signal/noise: >100dB (solid-state), >90dB (tubed). THD: <0.001% (solid-state), <0.01% (tubed). 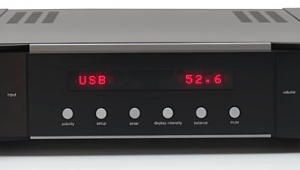 Phono module: Gain, MM: 4352dB, input impedance 47k ohms/47420pF. 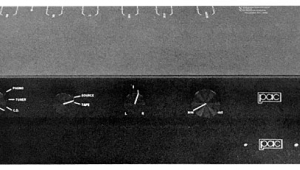 Gain, MC: 6372dB, input impedance 6372dB. Signal/noise, MM (5mV/1kHz): 79 or 84dB (A). Signal/noise, MC (0.5mV/1kHz): 70 or 76 dB (A). Frequency range: <30Hz100kHz. 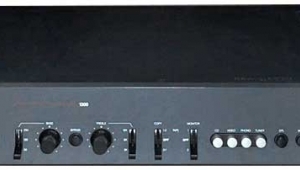 Phono EQ RIAA: ±0.2dB. Subsonic filter: 20Hz, third-order. Dimensions: 16.9" (430mm) W by 5.1" (130mm) H by 15.4" (390mm) D. Weight: 26.5 lb (12kg). 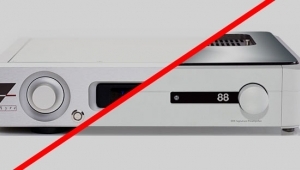 Serial number of unit reviewed: AVM-7-01643. Prices: $8995 (base price). 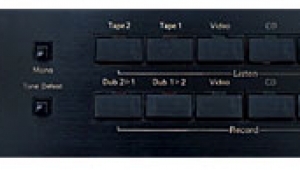 Card modules: Line Input Tone: $2195. Digital Input: $3395. Line Input: $1795. Bluetooth Input: $1795. 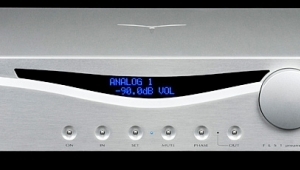 Phono Input: $2395. 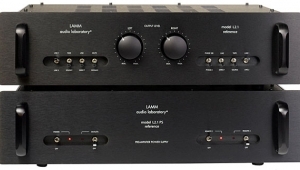 Solid-State Output: $1795. 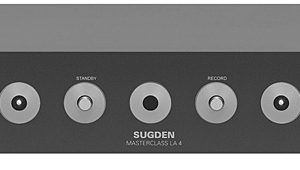 Tube Output: $3395. Approximate number of dealers: 8. Warranty: 3 years labor and parts, the latter including tubes. Manufacturer: Audio Video Manufaktur GmbH, Daimlerstrasse 8, D-76316 Malsch, Germany. Tel: (49) (0)7246-30991-0. Fax: (49) (0)7246-30991-69. Web: avm.audio. 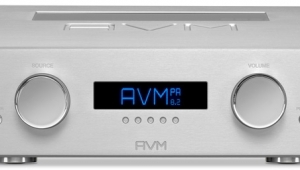 US distributor: AVM Audio USA, Buffalo, NY. Tel: (510) 901-9477.